Earn $4.10 in VIP credit (410 points)What's This? For their 11-Speed drivetrains SRAM has rolled out the PC-1170 Chain. 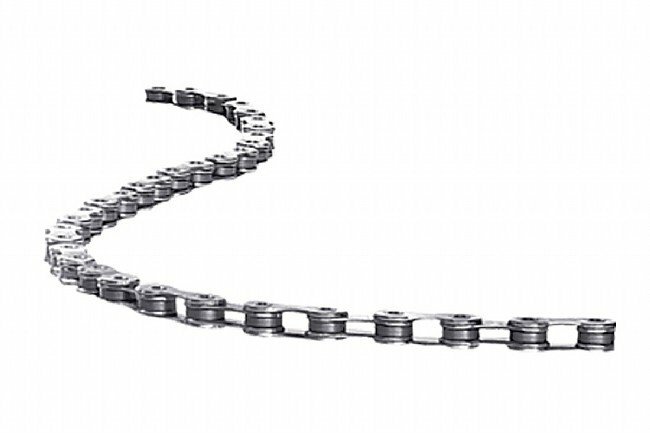 Picking up where the 1071 left off, this high quality chain features heavily chamfered links for quiet performance. Hollow pins to save weight without sacrificing strength, and nickel plating is used on the outer plates to resist corrosion. The PC-1170 Chain includes tool-free 11-speed PowerLock connector link. Compatible with SRAM and Shimano 11-speed systems. Claimed weight: 256g.